Molly Pinta’s goal to bring a Pride Parade to her hometown of Buffalo Grove will be realized June 2, 2019. 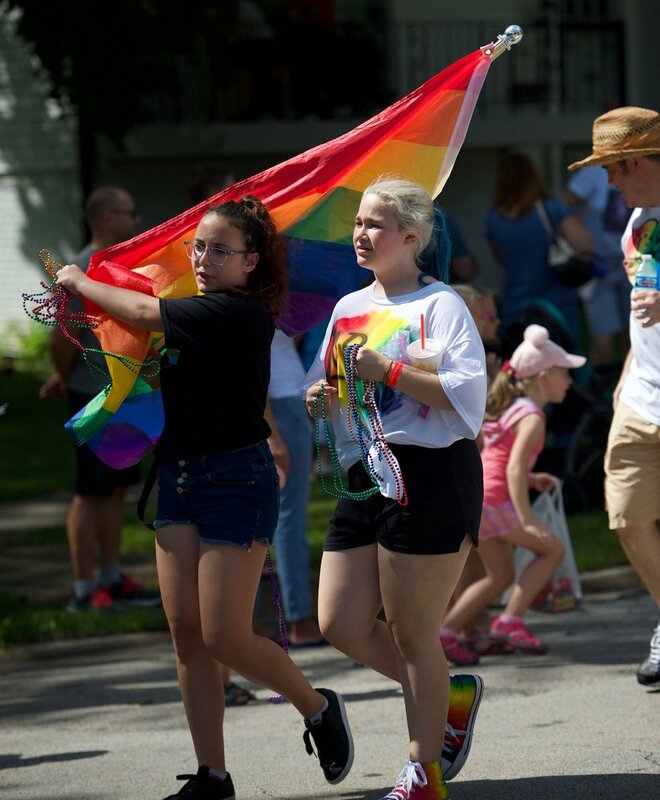 And, with the backing of the Village of Buffalo Grove, the 12-year-old’s vision for a Pride Parade will be followed by a festival as well with details on each unveiled for the first time. The entire event – dubbed the Pinta Pride Project – will include a mile-long parade on Checker Road the morning of June 2 and conclude at Mike Rylko Community Park, 1000 N. Buffalo Grove Road, with a Festival of Diversity with the backing of the Buffalo Grove Park District and Village of Buffalo Grove. The festival will feature with music, food and numerous attractions. Molly, who came out last year, pondered the idea of having a Pride Parade in Buffalo Grove after being inspired by attending a Pride Parade in Aurora. A fundraiser was created that quickly raised more than $10,000, and through other fundraising events, the Pinta Pride Project currently has raised about $20,000. That’s according to Molly’s mom and Pinta Pride Project Director Carolyn Pinta, who made Pinta Pride Project an official 501c3 nonprofit in October. “The reason I’m making a big deal out of this is not for my daughter, who is supported at home, but for the kids who aren’t,” Carolyn Pinta said. “We know about children who are not supported at home for being gay. So even though they aren’t being supported at home, we want them to know there is a whole world out there that does. Carolyn Pinta’s goal is for the Pinta Pride Project to raise at least $30,000 before June 2 and attract major corporate sponsors. The event already has more than a dozen sponsors, including Eddie Merlot’s in Lincolnshire, where a March 7 fundraiser for Pinta Pride Project will take place. Some 5,000 people attended the Aurora parade, and the Pintas would not be surprised if more come to Buffalo Grove. “It would be great if every town and city from the North Shore has a float or participants in this parade,” Carolyn Pinta said. Pinta’s husband, Bob, will be building a float filled with family members that will lead the June 2 parade.